What Were the First 10 Items In the Smithsonian’s Air and Space Museum? Hint: It started with a purchase from Frederick Stringfellow in 1889. Included in Lot #1 was the Stringfellow steam engine, shown above; the fuselage of a Stringfellow triplane; and fixed-pitch, two-blade, wood and fabric propellers. While Stringfellow’s inventions failed to perform as he’d hoped, they inspired the public’s imagination for years. His triplane influenced aeronautical designers, including the Wright brothers, to use stacked wings in their aircraft. Lot #2 dates from 1890, and includes a toy helicopter acquired from designer Pichancourt in Paris, as well as three mechanical birds given to the Smithsonian by the Government of Nicaragua. A note in the file by curator Paul Garber indicates that by 1929, only a single model was still extant; his belief was that the others were broken during testing by Samuel Langley or otherwise lost. 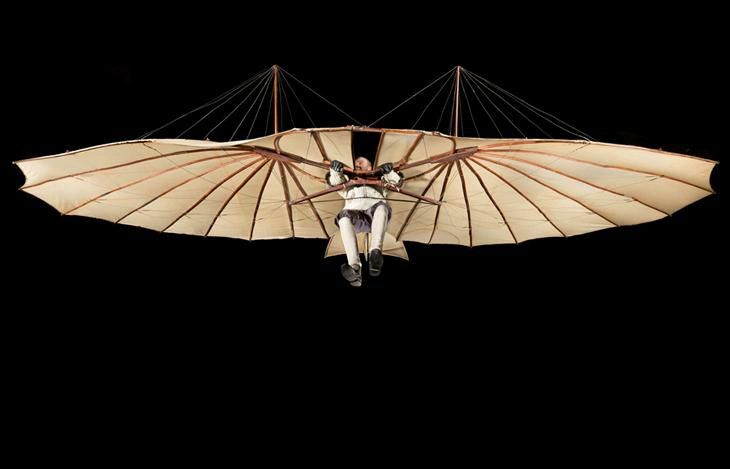 Lot #4, from 1906, is the Otto Lilienthal glider shown at top. The Wrights would be inspired by the descriptions in Lilienthal’s The Problem of Flying and Practical Experiments in Soaring. 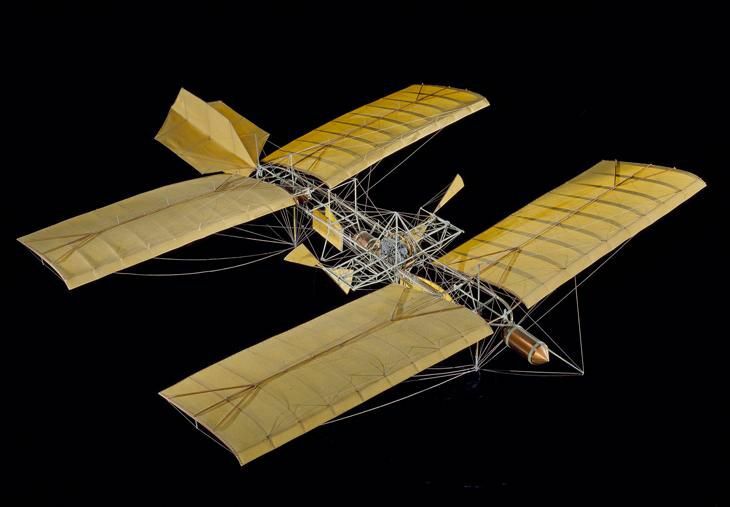 Lot #5, also from 1906, consisted of a Lawrence Hargrave ornithopter research model dating from 1890. It may have looked similar to the one below. Hargrave’s greatest contribution to aeronautics was the invention of the large box kite, which was essentially a biplane. There is no Lot #6; the logbook skips to Lot #7, which includes six items donated by Octave Chanute: An 1895 Chanute model; a Butresof model; three Herring kites, dating 1894, 1896, and 1898; and “parts of flying machine models.” All of these models are listed as “disposed of” in 1913. We find the same thing for Lot #8, also donated by Chaunute: An 1897 flying machine model; a cellular kite; and a 12-wing flying machine model from 1894-95. These were also deaccessioned in 1913. Lot #9 consists of a Clement V-2 engined used to power Alberto Santos-Dumont’s Airship No. 9 Baladeuse. 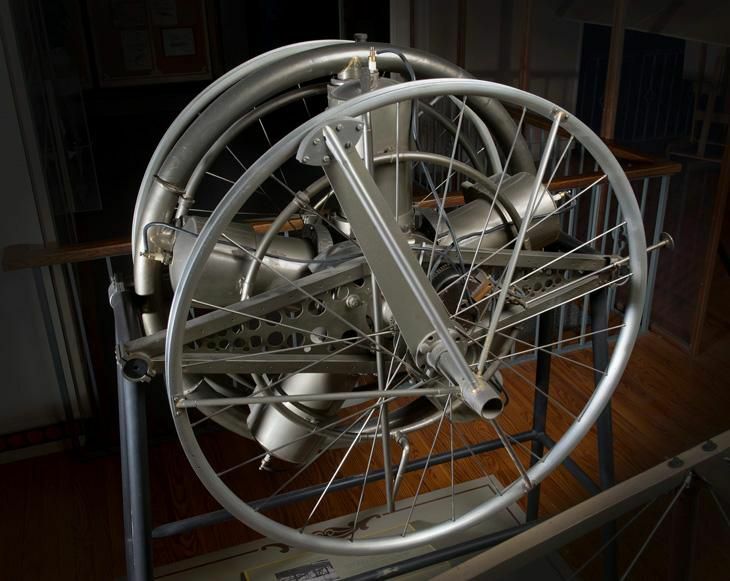 The engine was acquired in 1908, and is thought to be the smallest motor successfully applied to an airship. 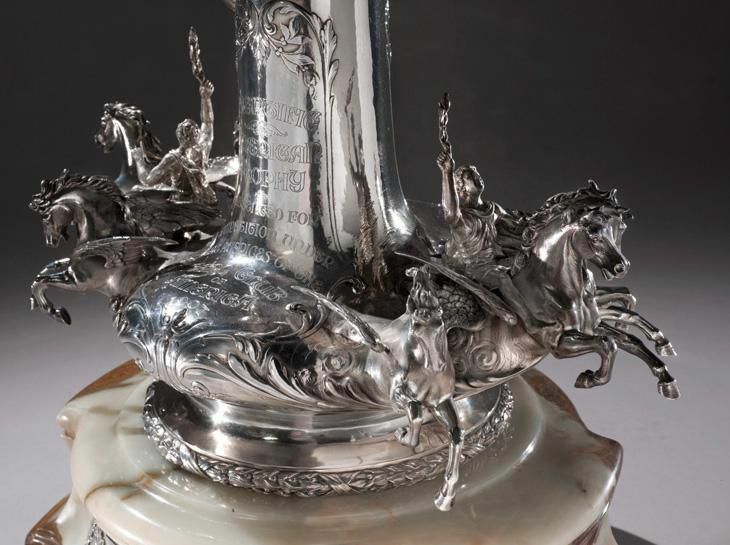 Lot #10 is a photograph of the Scientific American Flying Machine trophy, dating from 1908. The photograph is not scanned, so we offer you a glimpse at the actual trophy, which is on display in the Museum’s Early Flight Gallery. Why is this trophy important? On July 4, 1908, Glenn Curtiss flew the June Bug across Pleasant Valley for a distance of 5,090 feet, making the first officially recognized, pre-announced, and publicly observed flight in the United States. 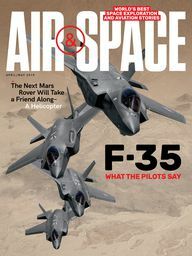 This effort would establish Curtiss as America’s foremost aviator. 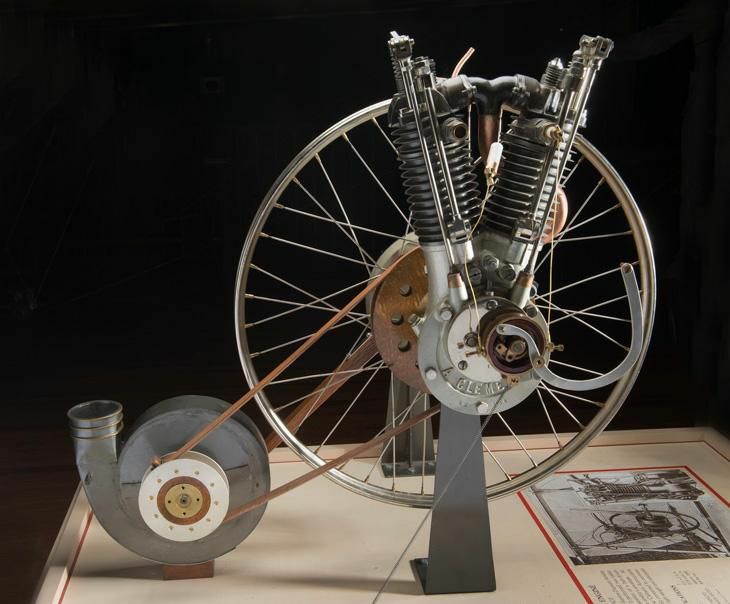 Lot #11, acquired in 1908, is the Langley-Manly-Balzer Radial 5 engine, the first internal combustion engine specifically designed for an aircraft. 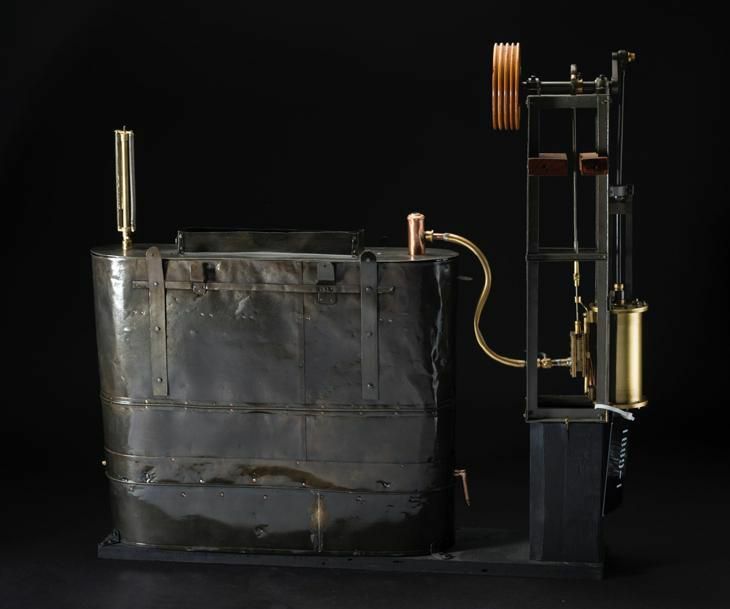 It was commissioned by Samuel Langley; the engine, an 1899 air-cooled rotary designed and built by Stephen M. Balzer of New York, was redesigned as a water-cooled radial by Charles M. Manly, Langley’s assistant.